I don’t see the fascination with this. As you said, I’d always be worried about my phone battery dying when I need it. What if if I’m on a train in the middle of making a purchase, will an AO wait while I’m finalising it so I can hand my phone over? I’d much rather carry a small piece of plastic than having to interrupt whatever I’m doing on my phone every time. Great, another government authority that requires one to sign up to the privacy-destroying, surveillance economy-promoting vision of Alphabet Inc (formerly Google). From the two responses above me it obviously isn’t for everyone but its some progress and as long as you have options that is a good thing. 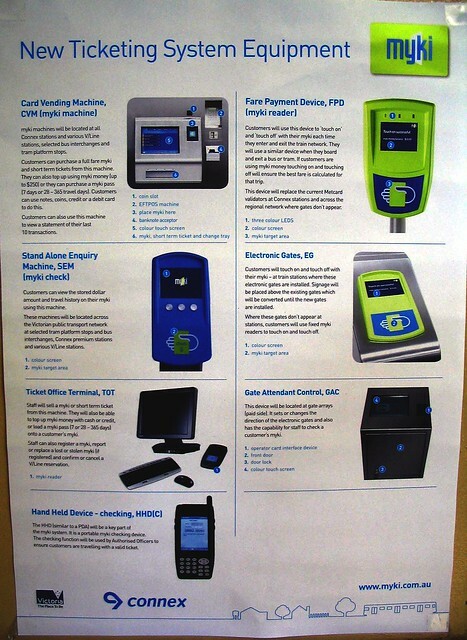 My thinking is that Myki card, CC and phone are plenty catering for pretty much every scenario (except cash). The issue with card expiry is obviously a link back to the original card. Do you know why cards have an expiry. Were they envisaging new cards coming and forcing everyone to upgrade. It’s great to see PTV trying something new – there’s a lot to be learned from actually doing something. However, I think Myki card emulation is a really dumb idea, and that this approach will have a very limited lifespan and uptake. Without Apple support, it’s a dead-end street. The approach used elsewhere, of allowing credit/debit cards to be used for touch-on/off, would likely be much more successful and widely adopted – if it was possible. Credit/debit cards have the advantage of being very widely used, are resilient and non-battery dependent. In addition, many credit/debit cards can also be loaded into the payment wallets of Android and iOS devices, allowing those who prefer phone-only to go cardless. It also seems that Apple’s hardware supports HCE; it’s just that IOS currently limits it. The app doesn’t tell you what current fare product you have – ie when does your current zone1-2 2hr expire? There are stations with no blue fare check machines, only quick top up machines which aren’t compatible. So at South Yarra for example, the only way to check current ticket expiry is via the gates. The newer gates don’t show this info, so at a station with new gates and no blue check machine, there would be no way to see this information. I wonder if it’s compatible with 7-11 top up machines… Probably not. I would’ve signed up but I don’t have a credit card. Would be nice if they allowed you to use your play credit, because that can tie into your phone billing as well. “We’re now ready to introduce 2 new features to the trial: Auto-load and low balance notification. Over the coming days you should see an option for setting up Auto-load and/or a low balance notification appear in Mobile myki. Above your ‘Recent activity’ a new menu ‘Balance settings’ will appear, with an option to turn on Auto-load. Auto-load automatically tops up your myki with myki Money once it goes below a nominated amount. It’s the same functionality that exists for a physical myki card. You get to decide how much your Mobile myki gets topped up by and what the minimum threshold is for this automatic top up to occur. For example, you may choose to top up your myki Money by $20, when your balance drops below $10. This means that if you travel on myki Money, you never have to manually top up again! The myki system will do the top up for you – so you’re always ready to travel. Above your ‘Recent activity’ a new menu ‘Balance settings’ will appear, with an option to turn on low balance notification. 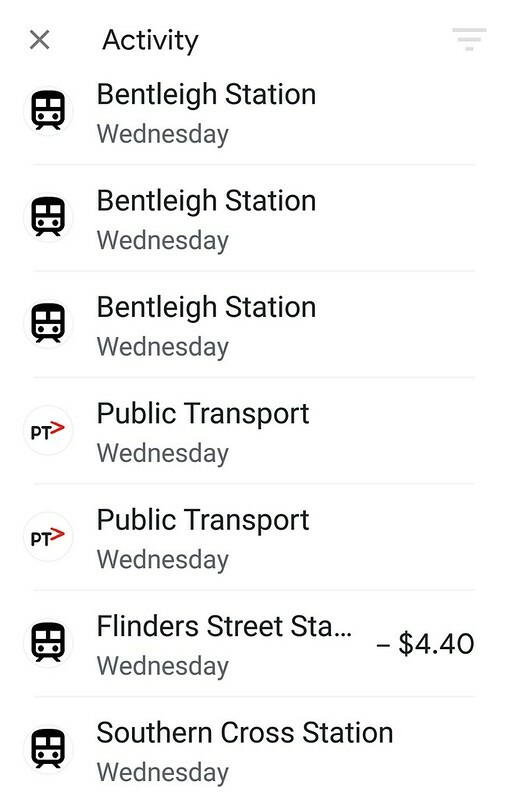 You can also set up a low balance notification which will provide you with a push-notification once your myki Money drops below your nominated threshold. Apologies if you have already mentioned this, but what happens if your phone does not have any Web credit so you can’t access the internet? This, together with flat battery, is common problem with children and other young people. Yes started the Myki mobile trial last week and all is working very well. I have experienced no problems with it and it gives a good record of My Trips and charges. However it is certainly not a game changer. In my view there are two main reasons to introduce a new system: One is to give extra convenience and simplicity to the customers the other is to allow better throughput and efficiency of travellers on the system. In my view this does neither, it is no more convenient than a Myki card and it is no quicker or more efficient. The real game changer would be if they were to introduce a system that could be used on watches. in terms of convenience for customers that is a real breakthrough because as commuters travel through the gates with their arms full of things they can simply move their wrist towards the reader and walk through the gates. This also allows a much more efficient system for PTV as many people could go through the gates at much quicker rates, rather than fumbling in their pockets or their wallets for their card or their phone. Until they can get a Myki system operational on wearables then this will do nothing and I can see that it will be will have a very small uptake. I know that the Opal Card in Sydney can work through your Fitbit, but don’t know if it will be possible with Myki. I’ve only used mobile-myki for a few trips. Once one learns that the phone has to be “woken up”, it works fine. Unlike @Rockgecko and perhaps @Malcolm, I see one of the big advantages is that one can see the card balance and what time one touched on (and off) in the “Activity” screen. When the activity occured “today”, then the time is displayed (Daniel’s screen shot doesn’t show this). And for previous days, you can touch the activity and get the details. 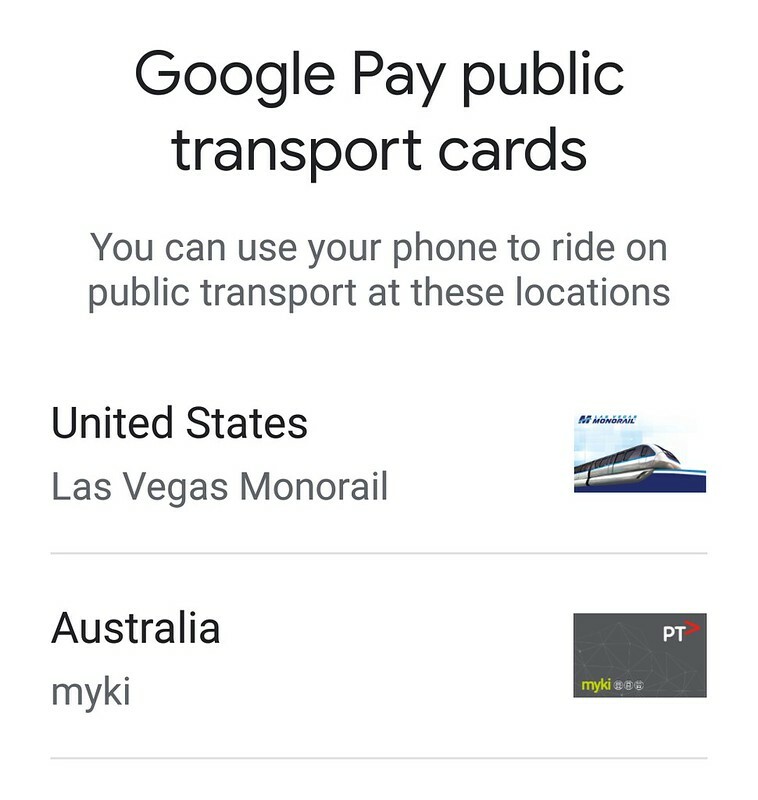 So when you are sitting in your seat and start to wonder “Did I remember to touch on?” or “How much money is left on the myki?” you can answer those questions on the Google Pay app without having to navigate the mymyki web site (which tends not to show today’s travel). And if you need to, you can top up as you travel, and if you forgot to tap on, you can discover that and deal with it. It may not be a game changer, but it does have capabilities that the physical card does not have. Having just managed to lose my Opal card within 2 minutes of using it, I’m not a huge fan of having to get my credit card out and put it away again multiple times a day. May be best to get it working on one platform first before tackling others. Sigh. That’s nice, but also so marginal. The main game is in allowing people to use credit cards and phone payment services such as Apple Pay. I wish they could give us a road map toward those services being enabled. I signed up for the mobile myki trial and I am really disappointed at how poor the communication has been. The Participant Pack has barely any info in it. It does not explain that you can’t transfer a pass from your current physical myki onto the digital one, so having purchased and activated a 4 week pass 1 day before I got the “welcome to the trial” email, I am not able to participate unless I pay for another pass to run them both at the same time – which is a waste of money. And given that when you ask to leave the trial, the first option for “Why are you leaving” is literally “I have a pass that I can’t transfer onto my digital myki”, I would say this has been a common issue for people. They also did not include any information about what to do if your phone dies, if you need to still carry your concession card with you (obviously you would, but you need to include that info to cover yourself), which myki equipment the digital card does and does not work with, what to do if you can’t get the myki equipment to recognise the digital card (do you need to carry a physical with you just in case, or can you say “i tried to touch on and it didn’t work”?) ect. In terms of ApplePay, I think it’s unreasonable to complain that they are not offering the trial to Apple users. Apple is notorious for not letting companies use and build onto their software. Some see this as a positive for security and privacy, others see it as a negative for usability or enhancements. Both points are valid. But I’m sure that there would be riots in the street if the 0.15% surcharge per transaction that ApplePay charges was passed on to Apple users, while Android users were able to use the system surcharge free. People need to recognise that the Gov / PTV / myki can only go so far, but if the tech companies want to make it hard or expensive for companies to access and build on their software then it is their users who will miss out on the advancements. @Harley, the trial runs until the end of March. Why not use up your Pass, and then join in? They kept emailing me to ask if I was using the mobile version or not, and if not then they suggested I remove myself. I assume they want to give my spot to someone who is going to use it over the entire period (minus the weeks already gone)? They keep emailing me to ask if I am going to participate, and hinting that I can leave if not. I assume they want to give my spot to someone who will use it for the entire period? Here’s another idea that PTV might like to consider, and it might be a simpler thing to roll out yet still achieve a lot for convenience and passenger throughput: Mini Myki! I received a mini credit card from Westpac several months ago and it is the size of a micro sim for your phone. It came with a rubber watch band and a tiny pocket that could be attached to an existing watch band, so that people can use tap and go payments with the convenience of a smart watch. Surely PTV could produce a Mini Myki that travellers could wear or attach to an existing watch band. No need to worry about battery running out, but much more convenient than fishing around in your pocket or wallet for the Myki Card. Said yes to every question but unlucky. Great post Daniel, thanks, I am on the trial and have had so many problems that I have stopped using it. I am a V/Line traveller and was overcharged due to not being able to touch off at North Melb. All of the readers there are Next Generation and my phone doesn’t work at all on them. When they suddenly rolled out Next Gen readers on Sita buses that was the end for me – couldn’t touch on or off there either. I will try your method of pointing the phone next week but I thought I had tried everything!